Spring has sprung and we are hitting the saddles hard at The IC! Check out the announcements below and read about all of the great new classes we’ve added to the schedule, along with the pop-ups and fun events coming up! If you are participating in the March Madness Bingo Challenge, you’ve got about a week and half left to get as many Bingos as you possibly can! We will be asking everyone to hand in their cards the first week in April, so we can tally them up and present the WINNER! SPING DEALS EXTENDED UNTIL MIDNIGHT TONIGHT! The clock is ticking, don’t wait! 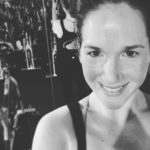 Pop-Up IC Crush Class with Lauren this Sunday, 3/24 at 7am! Centerville School Ride this Friday night, 3/22 @ 7:15pm with Mel C.! Come and ride in support of Centerville School, one of the five local Beverly elementary schools! All funds raised will help their PTO continue to support the school, students, and teachers, by funding enrichment programs, field trips, guest visitors, supplies, and more! $20 minimum donation to ride. Sign up online today and bring your donation with you to the event. 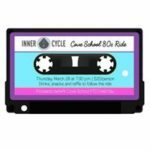 Cove School Ride next Thursday, 3/28 @ 7:30pm with Heather M.! Get your leg warmers on and come ride to the 80’s for Cove School! $20/person includes the ride with instructor and our own cove mom, Heather M., as well as drinks, snacks and raffles to follow! All proceeds will go towards Cove School Field Day. *Please sign up for free online to reserve your spot and then click on this link to make your donation. Autism Awareness Ride next Sunday, 3/31 @ 3pm with Emily O.! 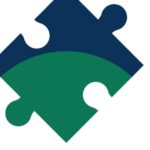 Autism Awareness Organization at Endicott College actively helps the Endicott community understand the available “evidence based practices” established to treat this disorder. The main purpose of the Autism Awareness Organization is to raise awareness of ASD, working to educate the student body, faculty and staff on what ASD is and how everyone can help support individuals on the spectrum. We are raising money in hopes to provide a fun evening to those with Autism in the Northshore area at Endicott on April 10th from 4:30-7:30 pm. From 4:30-5:30 there will be an area set up for those who are overwhelmed by crowds and may have sensory sensitivities, this will give them a safe space to enjoy themselves. Please bring suggested donation of $15 with you to the event. We hope to see you there! Since the last event was so much fun, we decided to take this show on the road! Next stop, IC Amesbury! Grab your sweetie, grab your friends, or just come solo! This will be a complete workout for your mind, body, and soul! We’ll start with a 30-minute High Intensity Interval Training spin class with Jessi, then transition to a 45-minute yoga session with Gail. The stretch portion will target chest opening, working deeper with the back in supported arching of the back, lengthening and strengthening of the back. We will engage the hamstrings and hip flexors by opening up the backside of the body in a deeper stretch and work in shoulder and neck stretches. We’ll open ourselves to love others, practice the strength to receive love, and ultimately, open up to love ourselves! 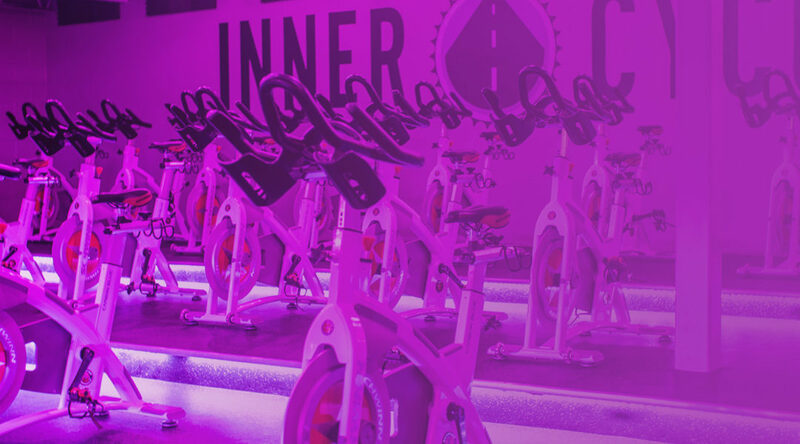 A $20 participation fee includes a 30-minute spin session, 45-minute yoga session and an all-natural, fresh squeezed post-workout juice leaving you feeling LOVELY! Space is Limited! Grab your spot today! Nancy joins our rooster crew starting next Thursday, 3/28 at 6am! 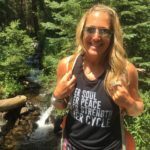 Meet Karen, Our Newest EBIC Rockstar! 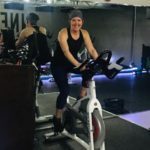 You can catch Karen in the saddle Wednesdays at 5:30am & Thursdays at 8:45am. Her first classes are FREE for you to check out! Tomorrow, 3/20 at 5:30am- Sign up! Next Thursday, 3/28 at 8:45am – Sign up! Pop-Up IC Crush Class next Sunday @ 4pm with Co-Owners, Hill & Em! You don’t want to miss this very special double pop-up crush with these two badass boss babes! 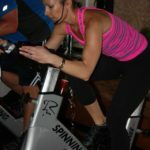 Courtney hits the saddle on Thursdays at 4pm starting next week, 3/28. You can catch her first class next week for FREE! Sign up!